what do people know about these cars, weaknesses etc? they seem pretty cheap in the regular format. I know a very enthusiastic driver who reckons his Z4MC was better to drive than his CSL. Cracking engine. Managed a 7:47 BTG at the 'ring in it too. I had a 2.8 wide bodied drophead z3 for about 4 years. It was a much better car than most would give it credit for. Nice black leather interior, top notch build quality, really strong motor with creamy straight six power delivery. The M must be the one to go for. The later model z4 looks like a winner too but I have no experience of that ideal. Used z cars are great value for money. There's a similar question asked on PH some 11 years ago. 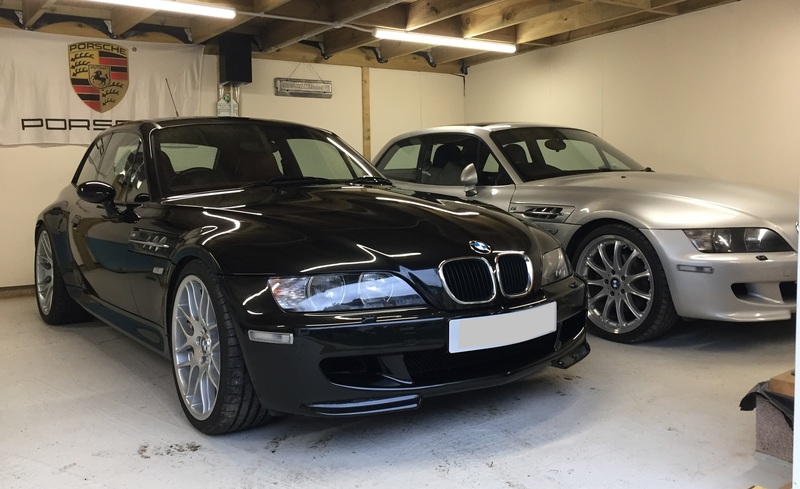 You could only get the z3 coupe in ///M form in the UK. They will only rise in value but the later S54 engined car is the one to go for. I had probably the highest spec S54 Z3m roadster in the UK. Very rare in s54 guise with only 73 RHD made worldwide. and to be a bmw aswell, they seem cheap to me. 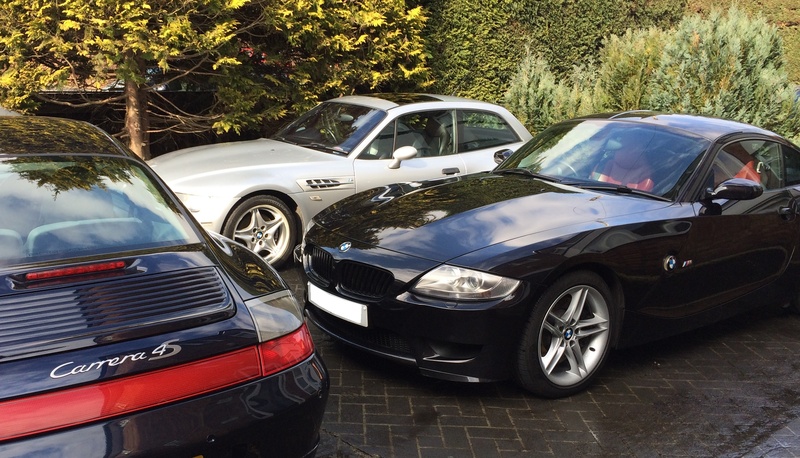 I have had several Z4s, before the 996. They are great cars, as long as its the 3.0 or 3.2M. Drive well and are well put together. Whilst being less exclusive than a Porsche, you get the benefit of the engine being used in millions of other cars (3 series, 5 series, 7 series etc). I did look at Z3s, they dont drive that well. In my opinion (and most forum posts), the Z4 was a massive step forward and was a proper drivers car. As you want a coupe there isnt that mush to look out for (beyond the generic stuff you would check on any car). The convertibles suffer with blocked drains, that wreck the roof motor (its in a stupid place). A bit like 996s, some people claim that they have reached the bottom of the market and that prices will climb......I suspect that may be true, but its not guaranteed. PM me if you want any specific advice. 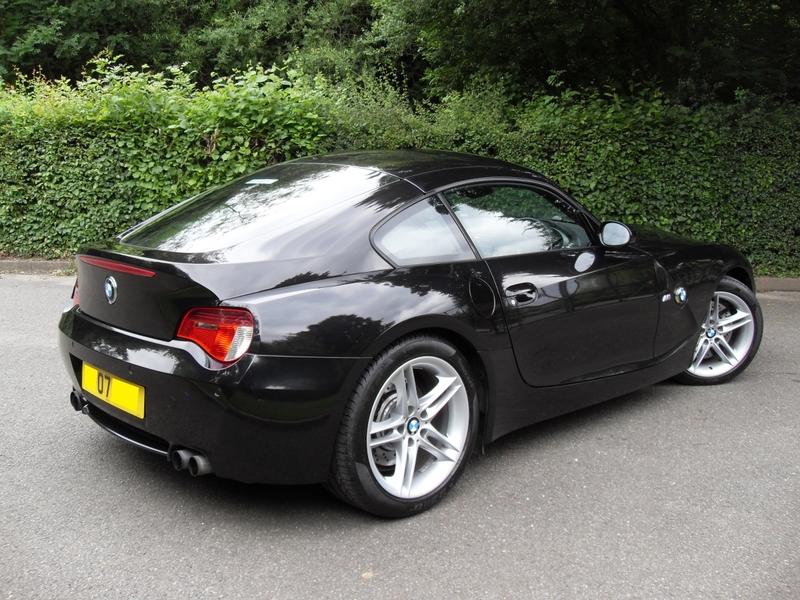 just looking at a z4 beauty for under 9 grand, that's a non m of course. do they rust, i mean like an air-cooled can rust? My Mrs drives a '65 plate Z4. It only has the little 2litre petrol motor - so it's no hot rod - but it is still a nice car to drive as the chassis is pretty stiff and free if scuttle shake. Really good looking too (IMHO) - just about from every angle. Build quality also excellent. Per Clarkson on GT it was designed by a woman inside and out. The Mrs is a bit of a feminist so she wasn't surprised to hear this. One negative is that the ride is a bit 'hard' on daft 19" rims and low profile run-flats, but that can be sorted by using regular tyres or I guess sourcing some smaller rims and less rubber band like boots. Breadvans and clownshoes – I love 'em! 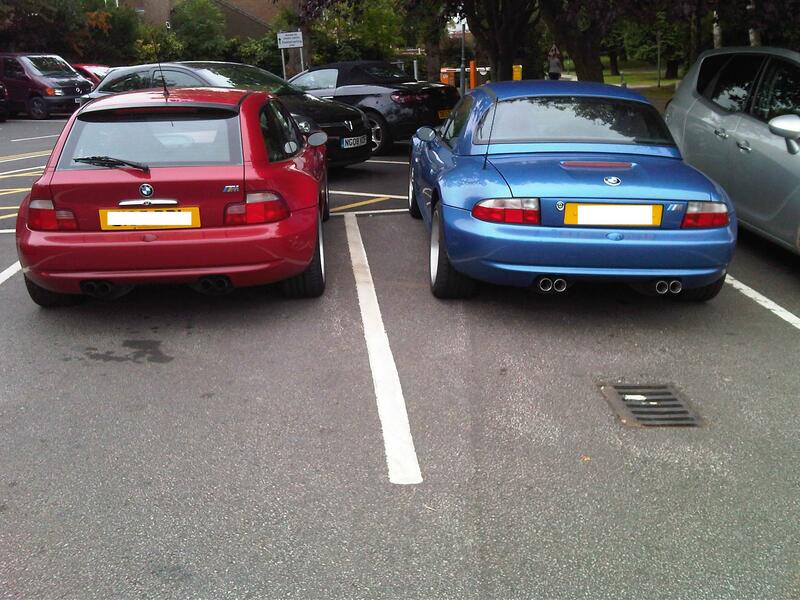 I have two Z3M Coupes - an S54 and an S50 (strictly speaking it's not called a Z3 at all, just M Coupe). 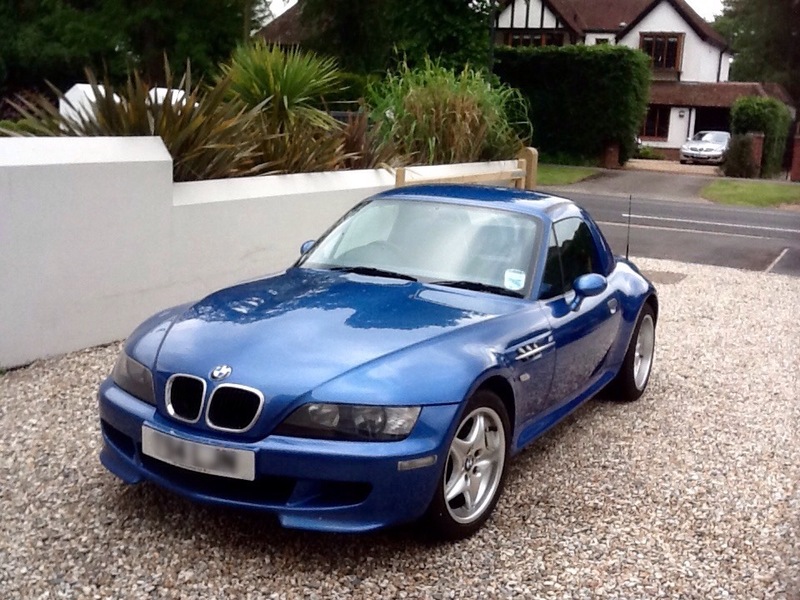 I also had a Z4M Coupe but sold it as I didn't have the love for it. The Z3M Coupes are awesome and an absolute hoot to drive! A complete marmite car when launched – a mate of mine still hates them but I’d wanted one since first seeing them. The closest I got for years was a glass topped coffee table I made using the deep-dish rear wheel back in 2000!! The S50 MC uses the E36 M3 engine with 321bhp and the S54 uses the E46 M3 engine but with “only” 325bhp (instead of the 343bhp in the M3) which some people said was because it would be too quick and rob sales from the M3 (Breadvans were beating M3’s in acceleration in many tests anyway). The S54 has electronic throttle and traction control which the earlier MC did not. There were 821 RHD S50 sold in the UK and only 165 of the S54, making it a very rare car! Both have the 5 speed manual as BMW said the 6 speed wouldn’t fit. Some people have fitted the 6 speed though. Absolutely awesome cars and they garner attention often. An absolute hoot to drive! I think there’s a couple of people on here who have Z3M Coupes. The Z4MCoupe did use the “full fat” 343bhp S54 used in the E46 M3 and had a 6 speed ‘box. They sound awesome (an area where the Z3MC is a little lacking but an exhaust and carbon intake sorts that). Obviously part of the new era of BMW's so more modern inside, but for me lacking in the character of the Z3 M Coupes - great cars nonetheless. Also has the Sport button which virtually makes it undriveable in traffic – the throttle becomes an on/off switch. Very quick car but build quality wasn’t great and there were complaints of creaking cabins. I found the cabin quite claustrophobic too (girlfriend had a Z4 Roadster and that was snug too). All in all it just didn’t have the same buzz of the Z3MC for me. The Z4MC’s are tipped to be a good investment at the moment though. As stated above technically there was never a Z3m, they where the first of their kind and simply referred to as the M Roadster or M Coupe by BMW. You could buy the kit and have it fitted which made it safer to increase the redline to 8,000 rpm. Mine had it done under “warranty” with no record and I then had the redline lifted. With the S54 engine needing to be revved it made a huge difference but still shy of the M3 BHP due to exhaust restrictions. The carbon induction kits where a waste of money unless you went whole hog CSL with MAF delete / Alpha remap but then you where talking big bucks for little gain but they did sound good. 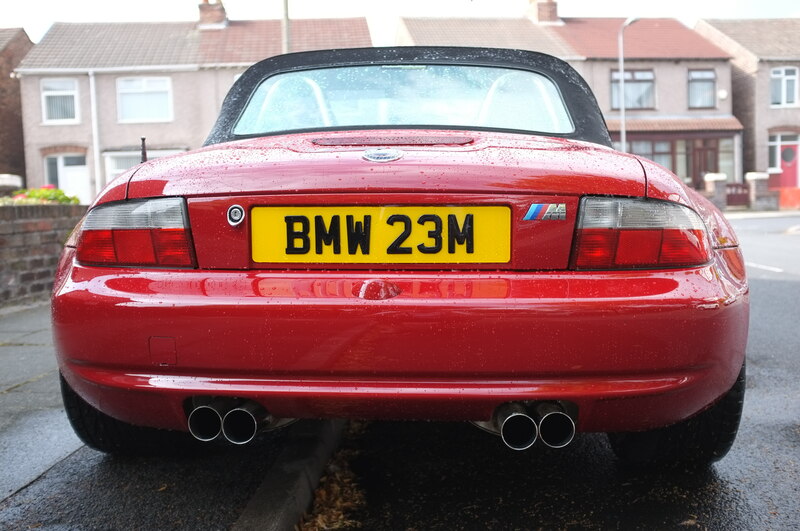 Your money was better spent on an eisenmann race exhaust, very loud so no good when they where a daily but for a hoon suited the Z3m character perfectly. The ///M’s also had the narrow body rear axle meaning you could fit stupid dish whilst staying in the wheel arches, any car with a massive relative offset front to rear always looks cool especially when you can do it without chopping the bodywork about. I’ve still got some brand new Schnitzer 2 and 3 piece ///M offset wheels somewhere in storage that must be worth a few bob nowadays. Re the boot seams splitting this is actually caused by a weakness in the diff brackets due to the excessive torque of the engine, in simple terms they split and weaken the boot floor which then separates. It not easy to see the diff bracket split but there are easy tell tail signs of failed boot spot welds if you know where to look. Its slightly harder in an S54 due to extra boot insulation fitted but they are less prone to it as a strengthened diff bracket was fitted. Despite this risk, so long as the seams have not split completely its a pretty easy c£500 job to repair by a competent welder. I actually had my first Z3m done under warranty (it was an S50 which are more prone) but with no paperwork as BMW never acknowledged the problem publicly. some serious knowledge here, many thanks. I've always had a soft spot for the Alpina Roadster S. That 3.4 engine is a peach, and the suspension is tuned for actual roads. The last hand built Alpina too. Guilty......I have a black 1998 S50 M Coupe a great car. Owned since 2009 and has never skipped a beat. Keep it parked up on a charger for months on end and starts instantly. Only managed a few hundred miles a year in it over the last few (young kids) but would never sell it. OP if you decide to go for one you will not regret it. One of my good mates has one in grey with 7k miles on the clock. They came out well before the Z4m hit the market so where the most powerful Z4 option at the time. but the early gen 1 z3 coupe m with the s50 is probably the car where your money would be better off, high outlay, but rare car. i would say a z4 m coupe looks a bit better, it seems better proportioned where the z3 has an 'all at the back type of look', like an e type jag coupe.